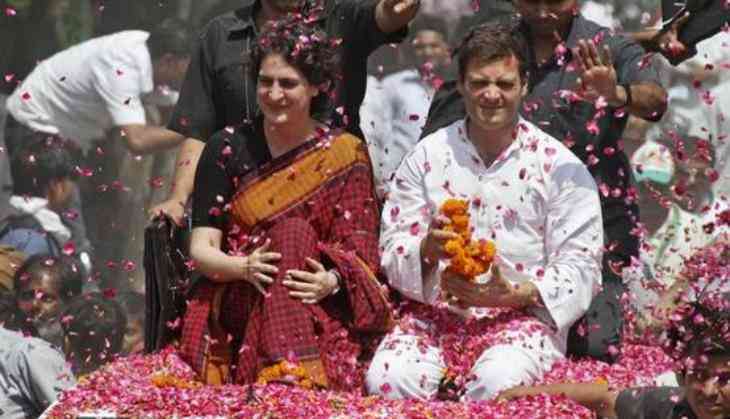 As the Lok Sabha elections are approaching, the Congress party is getting all the things right and would want to leave no stone unturned, as Rahul Gandhi has called a meeting of General Secretaries. Ahead of this meet, the newest and most awaited political entry by Priyanka Gandhi Vadra, which made headlines across the country is back from USA and met brother Rahul Gandhi today at his residence in Delhi. In this unofficial meet, other than the Gandhi family members, KC Venugopal and Jyotiraditya Scindia were also present. Earlier, it was declared that Congress President Rahul Gandhi has called a meeting of party's General Secretaries and State In-charges on February 7 in Delhi to review preparations for General Elections 2019. And post this meeting, Rahul Gandhi will proceed to meet Pradesh Congress Committee Presidents on February 9 and it would be about deciding the final roadmap ahead of the Lok Sabha elections, and especially, in the Hindi heartland. Meanwhile, Congress National Spokesperson Jaiveer Shergill had applied for ticket at Punjab Pradesh Congress Bhavan, Chandigarh, to contest from Lok Sabha seat Sri Anandpur Sahib, Punjab.